A student reported an unwanted person in a dorm room. Officers learned that the student had gone into the wrong room. 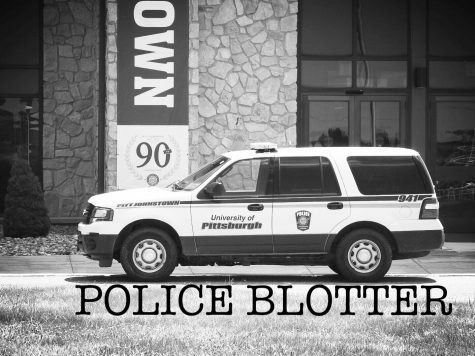 An officer transported an ill person to Conemaugh Memorial Medical Center. A student reported she had fallen in a parking lot. She was transported by ambulance to Conemaugh Memorial Medical Center. A person reported a bag by the book drop off. An officer responded and found out it was a lunch bag. Shower steam activated a fire alarm. A person reported fraudulent activities on his eBay account. An investigation is ongoing.